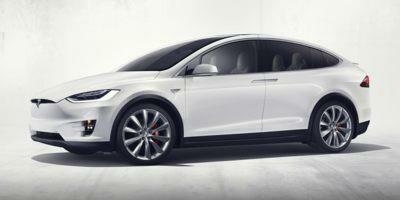 The futuristic Model X is pricey in the base model but well-equipped. Standard features include: 20” alloy wheels, heated/folding/powered side mirrors, Bluetooth/smartphone/USB integration, automated two-zone climate control with rear vents, 17” touchscreen console, leather upholstery, heated/powered front seating, air suspension, powered-automated liftgate, GPS, parking camera, parking sensors, remote entry start, automated parking and driving system, collision mitigation system and premium audio system. Options can add features like second-row captain’s chairs, 360-degree parking camera, larger 22” wheels, rolling Wi-Fi, and more. An electric motor and battery pack power this SUV, rated at 518 horsepower with a 239 mile range.